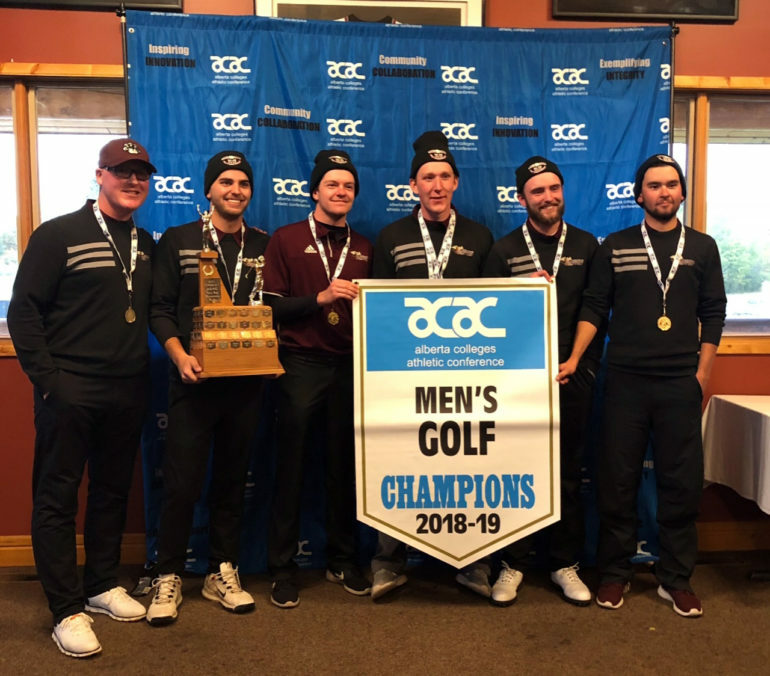 Red Deer, AB– It was an exciting finish to the Alberta Colleges Athletic Conference (ACAC) Golf Championships and all student-athletes battled the elements on the final day of competition at Alberta Springs Golf Resort as they attempted to climb the leaderboard. Medicine Hat College’s Becky Martin shot a 76 on Sunday for a two-round total of 150, accumulating three birdies and nine pars to earn individual women’s gold. Martin was a key member of the Rattlers and also helped her women’s team capture gold (330). Concordia University’s Kennedy Turcotte fired an 84 and earned individual silver (166), helping her group win bronze (344). 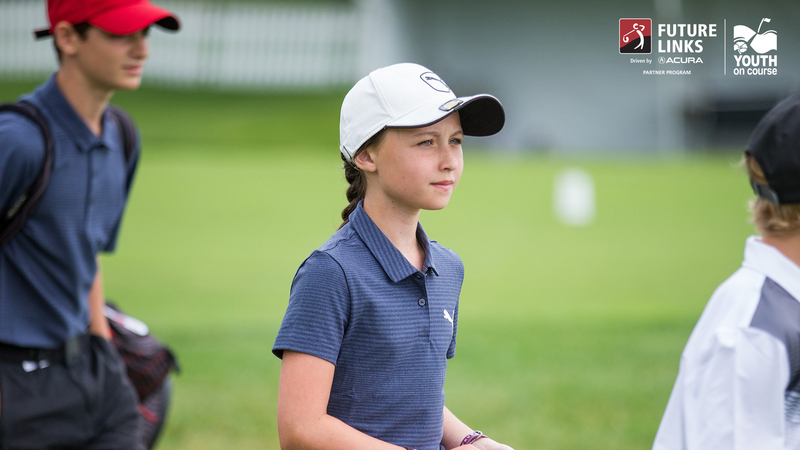 RDC’s Shaye Leidenius recorded an 84 on the final day for a two-day total of 167 and individual bronze, and was an important golfer in leading the Queens to silver (332). 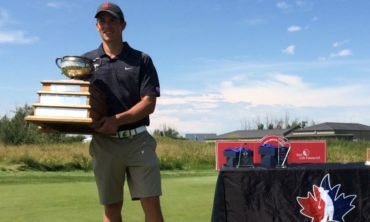 Michael Harrison from the University of Alberta Augustana Vikings won individual gold after shaving off one stroke from Saturday (72) for a weekend total of 145. Harrison had three birdies and 12 pars on day two. Chase Broderson of the RDC Kings finished Sunday with a 78 and captured silver (151), while also leading the Kings to team bronze (631). Noah Lubberding from MacEwan University was one stroke behind Broderson (152) for individual bronze, helping his group take gold (606). The Concordia University men won team silver (631). The RDC Mixed Golf team finished in the gold medal position. Medicine Hat College won silver and Concordia University earned bronze. Bergdahl especially credited the men’s silver winning team from Concordia University with a strong push on Sunday. “The Concordia men really brought it today and that’s a real testament to the strength of their program and where they are going,” he says. There will be strong ACAC representation at the 2018 PING Canadian Collegiate Athletic Association (CCAA) Golf National Championships, October 16 – 19, at Desert Blume Golf Club. 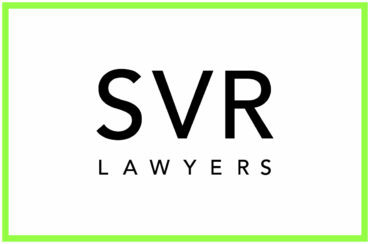 Medicine Hat College will host the prestigious event. 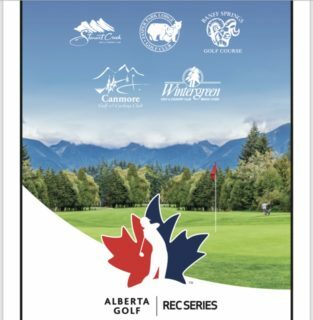 The following is a summary of the ACAC Golf medal and award winners, recognized at Alberta Springs Golf Resort, Sunday evening.